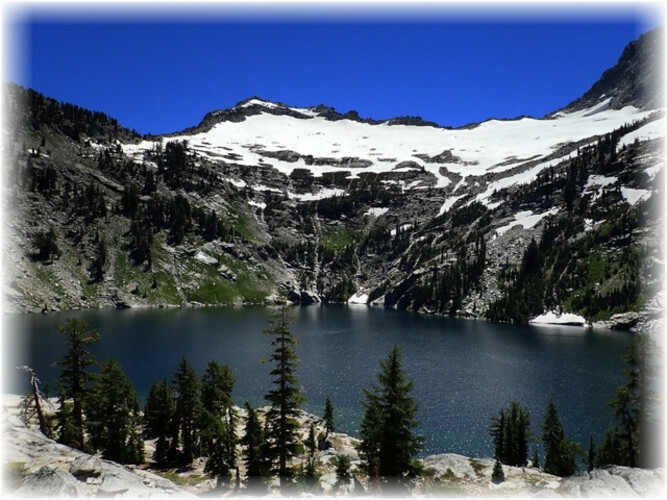 Few have heard of, let alone traveled through, the Trinity Alps, a true gem of California’s Pacific Coast Range. After preparing for our expedition at Kroka West’s Redwood Valley basecamp, we will enter into the magical Trinity Alps wilderness, where crystal clear lakes, lush forests, and jagged peaks, which we will summit, await. After hiking through this landscape for three days, we will drop down to the Trinity River, which flows out of the Trinity Alps, and transition from backpacks to dry bags, continuing our journey by boat. Weaving through beautiful coniferous and hardwood forests, we will learn to read the water, navigate the river’s rapids, and float through emerald pools. Along the way, we will also learn, discuss, and reflect on the challenging history of the indigenous people of the Trinity River valley as we paddle through the current and ancestral tribal waters of the Hoopa and Yurok Tribes. Our journey ends as the Trinity River merges with the great Klamath River, waving goodbye to waters that will soon flow out into the Pacific Ocean.